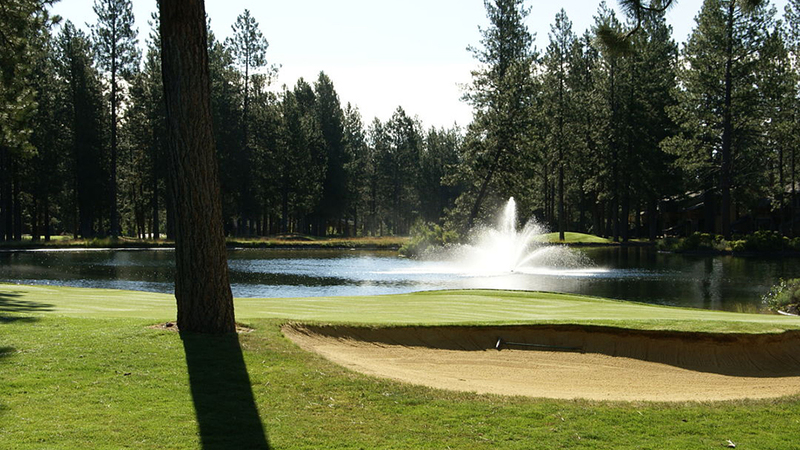 Widgi Creek Golf Club, off Century Drive and halfway to Mt. Bachelor in one direction and downtown Bend the other direction, is quickly becoming a favorite location for wedding and banquets for all occasions. With its beautiful surroundings, quiet atmosphere, outstanding service, and experienced staff, you can relax and take pleasure in the pristine backdrops Widgi Creek has to offer. With both indoor and outdoor venue options to choose from, they are able to accommodate functions of various sizes. Dining room and outdoor deck guests have exclusive access to the entire dining room and bar area of the club, including the expansive outdoor deck that overlooks the practice putting green and first tee box. Combined, these areas can accommodate up to 200 people with space for dinner and dancing. The Well Traveled Fork, famous for their farm-to-table cuisine is the exclusive caterer for Widgi Creek Golf Club. Full bar, beer, and wine are available, and tables, chairs, linens and napkins, dishes, flatware, and glassware are included in fee. Discounts on golf and spa services are also available.